Founded in 2002, Denmark’s Ensemble MidtVest consists of a string quartet, a wind quintet and a pianist. Understanding that classical music is a living tradition, rooted in the past, but as relevant today as it has been for centuries, therefore, it is their credo to make the most beautiful music of the past 500 years accessible to the 21st century audience. In order to achieve this goal, the ensemble is not only presenting classical chamber music repertoire, but also free improvisation, as well as baroque and early classical works. Performing more than 100 concerts a year both in Denmark and abroad, the ensemble tours internationally, collaborates with many renowned musicians, and has recorded more than twenty CDs. For this concert, the group will present an entire program of free improvisations. Ensemble MidtVest has been developing its improvisational language since 2007, with artistic advisory from jazz pianist Carsten Dahl for the first 10 years, and master classes with, among others, Matthew Barley. The ensemble works with improvisation in order to create its own sound and musical language, breaking down barriers between styles and genres. By taking inspiration from movies (in the form of an improvised live soundtrack during screenings), or exercise (in the form of providing music for yoga-sessions, or in a swimming hall), the ensemble finds ways to meet audiences with no knowledge or previous interest in classical music. 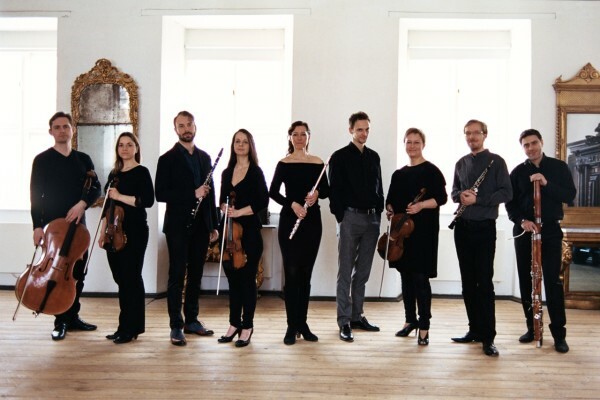 Ensemble MidtVest is supported by the music committee of the Danish Arts Foundation and the four municipalities of Herning, Holstebro, Ikast-Brande, and Struer. Note: On Sunday May 5 at 4 PM, Ensemble MidtVest will also perform a classical recital at the Nordic Museum in Seattle, featuring works of Brahms, Clara Schumann, Niels W. Gade, Carl Nielsen, and Per Nørgaard.